This undated photo provided by Lisa Christon, shows the dog allegedly shot by Oregon man Josh Horner. 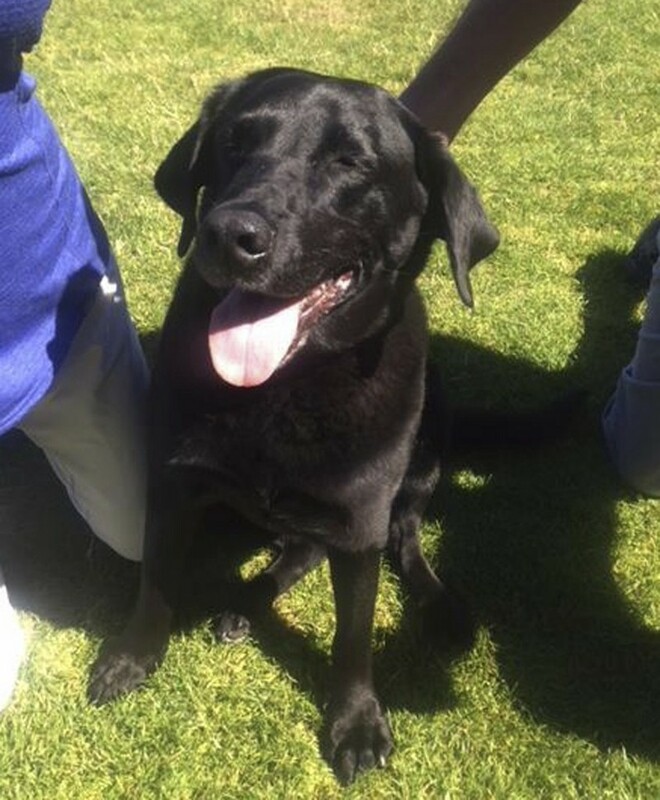 The discovery of a black Labrador named Lucy led to the unraveling of a criminal case Monday, against an Oregon man who had begun serving a 50-year prison sentence. * A feel good story worth sharing, from earlier in the year. An Oregon Innocence Project volunteer and an official from Hummel’s office searched for the animal. The black Lab had reportedly been given away. The investigators, were expediently on the trail, but they had trouble tracking down the purported dog’s owner. It was there, in the town of Gearhart, northwest of Portland, that the pair finally found Lucy after her owners agreed to meet at a golf course. 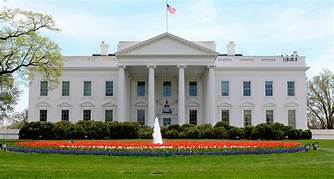 “She was drinking a bowl of water and sitting in the shade underneath a porch. We played with her. Pet her. It was wonderful,” said Lisa Christon, the Oregon Innocence Project volunteer. Lucy was identified by an undisputed chain of custody and her distinguishable looks. That revealed evidence showed the complainant had not been honest when testifying, the district attorney said. Hummel, told the court Monday he’s not certain that Horner didn’t sexually abuse the complainant, but that he’s now not positive without a doubt, that he did. The Associated Press is not revealing her name, of course, because they typically do not identify alleged victims of sexual abuse. 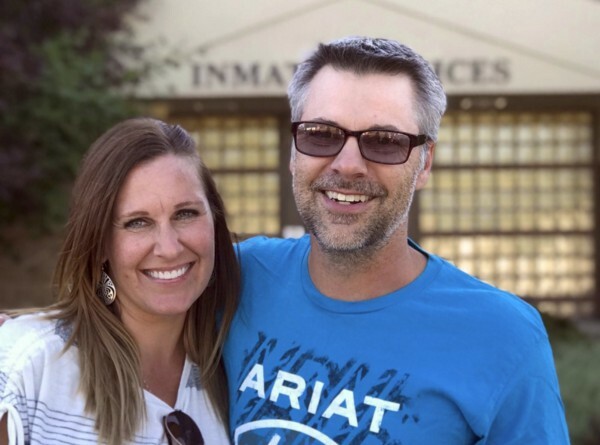 This photo provided by the Oregon Justice Resource Center shows Josh Horner with his wife Kelli Horner after a hearing in Bend, Ore., Monday, Sept. 10, 2018. “Kelli and I are ready to pick up the pieces of our lives,” Horner said, standing with his supportive wife. The couple emerged from the courthouse Monday, holding hands and smiling. Horner was released from a Pendleton prison on Aug. 3, after the Oregon Court of Appeals reversed his conviction, ordering a new trial. The appeals court wrote that the defense had not been allowed to present certain evidence that was unrelated to the dog. Now, Horner no longer faces a second trial. He declined a request for an interview, saying he is not ready to speak with the media at the current time. After Lucy was discovered, the young complainant failed to attend a meeting with her parents in August, to discuss her testimony, Hummel said. Last Wednesday, one of his investigators heard she lived in a home near Redmond. When he pulled into the driveway, she ran saw him and took off. Horner had been indicted under a previous district attorney, but the trial and conviction came under Hummel’s leadership. It was the first victory for the Oregon Innocence Project, launched in 2014 to exonerate the wrongfully convicted and promote legal reforms. Wax praised Hummel for his willingness to re-approach the case.